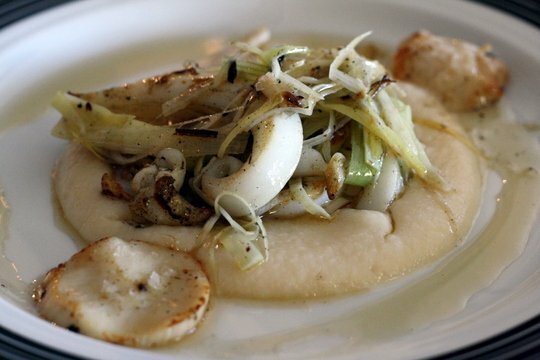 These bay scallops may be small, but they are amazing! I never could have imagined that a town of only 244,000 people could be filled with so many spectacular things to eat. 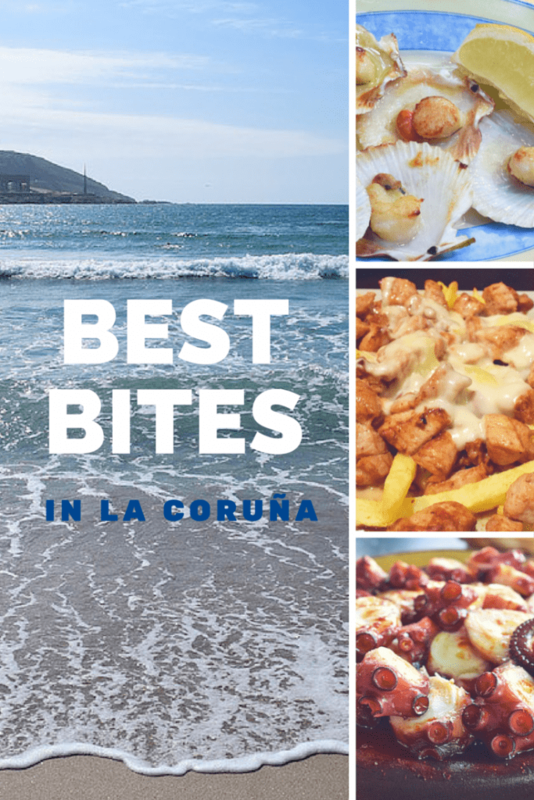 From ridiculously fresh scallops to melt-in-your-mouth local cheese, I was smitten with the food in La Coruña from day one. The more time I spend in Galicia, the more I realize that this sparsely populated northwestern region is a sleeping giant of Spanish food. Arguably the country’s best seafood comes from its rivers and seas and Spain’s most prized beef is raised on its lush green hills. Just blocks from these gorgeous ocean views is a world of amazing eating. Yet the goodness remains a relative secret. You won’t find hoards of tourists filling the bars and restaurants here! 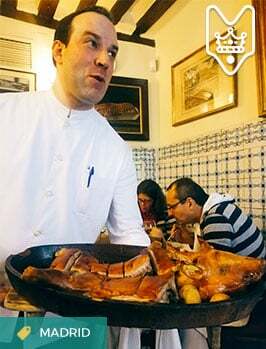 In La Coruña, the region’s second largest city, the gastronomic bounty of Galicia’s unique landscape is on full display. During my nearly month-long stay there, my biggest dilemma was deciding which dish to try next! Each of the following were not only the best bites I tasted in La Coruña, but easily some of the best I’ve had all year. The best octopus I’ve ever tasted. There is octopus and then there is Melide octopus. I am typically not a fan of Galician style pulpo, which is boiled and doused with olive oil, paprika and salt. The exterior purple ring on the octopus tentacle tends to be a bit, well, jello-y. 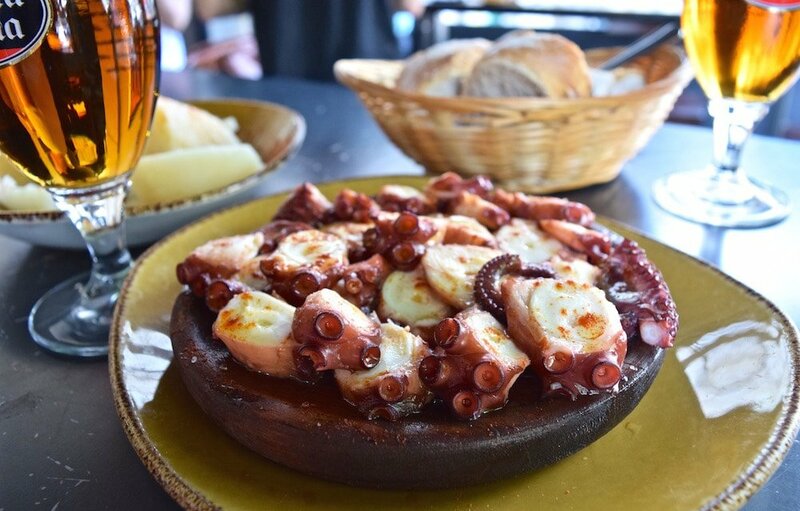 At Melide they somehow manage to stay true to the traditional Galician recipe while giving their pulpo a slightly crispy texture. It is bursting with all the fantastic flavor of fresh octopus, but with a texture that makes it positively devourable. The pulpo here has ruined all other octopus for me. None other will ever compare! The tortilla española in La Coruña has a style all its own. 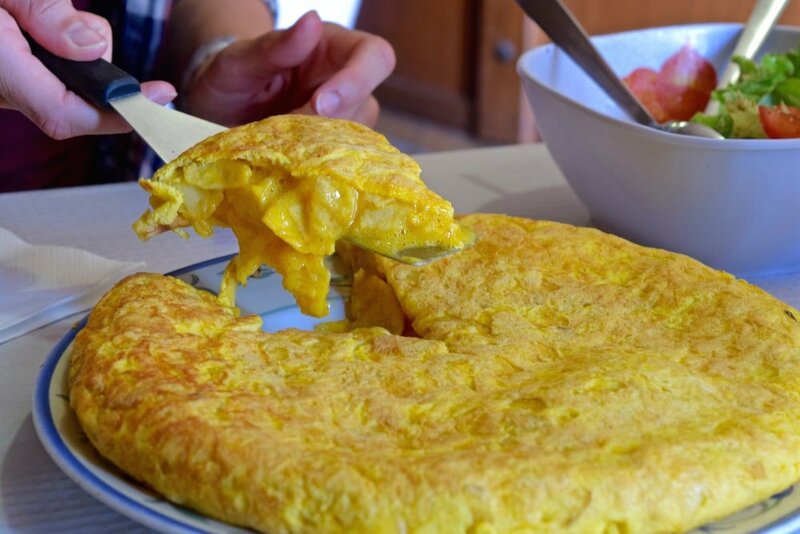 Unlike the firm Spanish omelets that are typical in most of the rest of Spain, in La Coruña the tortilla has a liquid center. After the thinly sliced potatoes are fried, they are stirred into the beaten eggs and then dumped into a hot skillet. 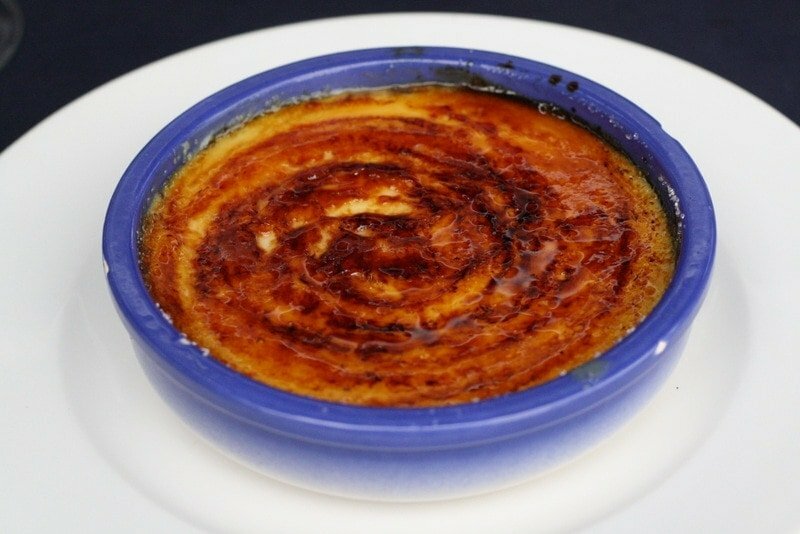 As soon as the bottom begins to firm up, the tortilla is flipped to allow the top to just barely solidify, leaving the center gooey and runny. This hugely flavorful style of tortilla is thanks the small village of Betanzos about 25 kilometers southeast of Coruña. 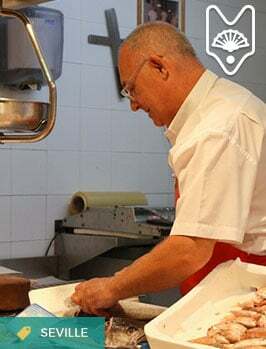 The village’s runny tortilla became so popular that it earned the title of Best Tortilla in Spain in 2011, and inspired the entire province to start undercooking their tortilla. The tortillas at O’Remo are made in the Betanzos style with farm fresh eggs that are such a bright shade of yellow they almost look fake! Each tortilla is made fresh to order, including frying the potatoes, at this tiny hole-in-the-wall restaurant. Their tortilla was so tasty I had to order an entire one for myself! 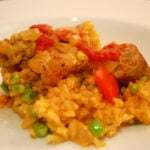 You may be tempted to call it a paella, but this Galician rice dish left paella in the dust. The giant pan was packed with bay scallops and infused with the intense ocean flavor of the carabinero shrimp. Amazing rice with baby scallops and jumbo shrimp. The rice was left just slightly al dente and was even creamier than a risotto but without a shred of cheese. 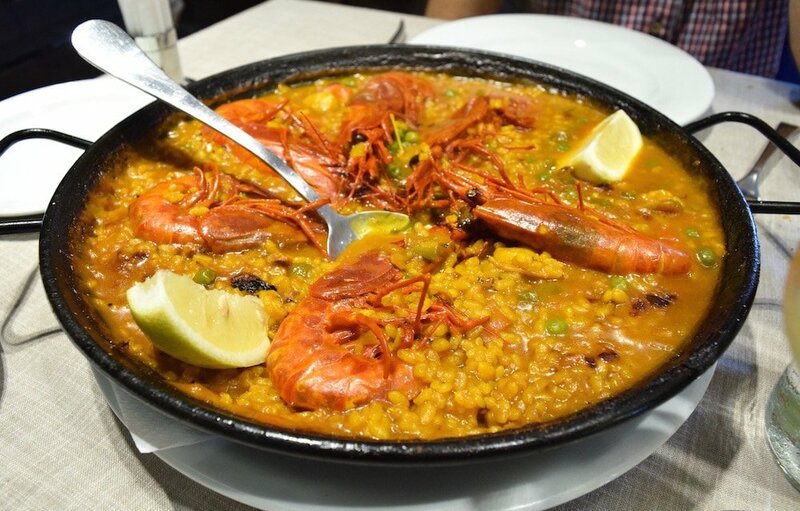 I would make the seven hour train ride from Madrid to La Coruña solely for this rice. Have you noticed I have a slight obsession with zamburiñas? In Coruña I ordered them every time I saw them on the menu. These mini scallops pack all the luscious flavor and texture of a full-sized scallop into smaller (and much more inexpensive) shells. 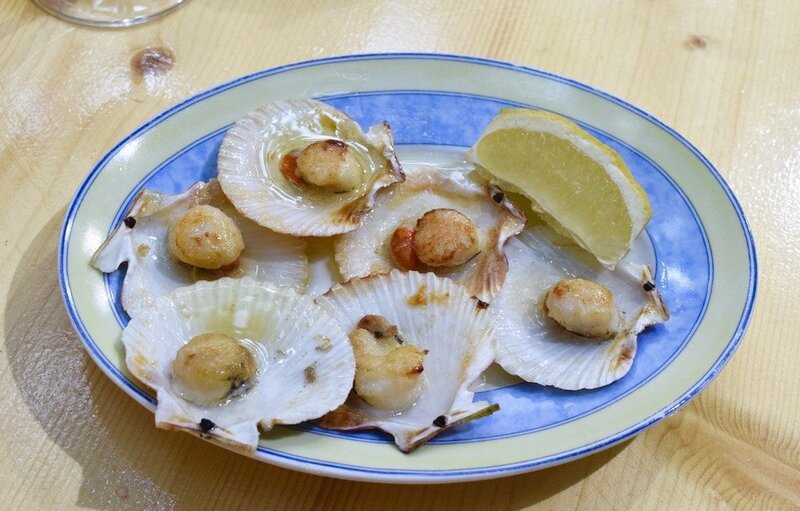 In La Coruña zamburiñas are most often prepared simply by searing or grilling the scallop still in the shell and then drizzling a bit of olive oil over the top. No frills needed here! The zamburiñas at O Viñedo de Tito combined my favorite food with my ideal atmosphere. Large wine barrels are scattered beneath a canopy of grapevines along a tiny pedestrian side street. I couldn’t ask for a better spot to enjoy a glass of local wine and a plate of bay scallops. 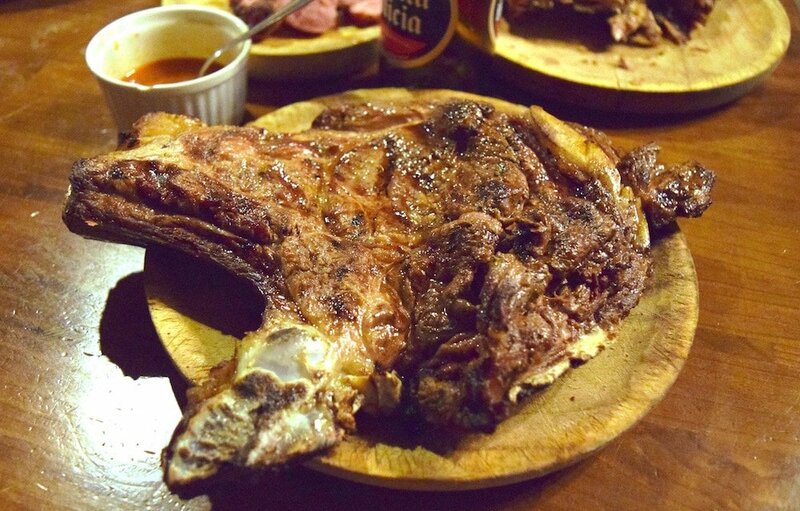 I did not fully appreciate the superiority of Galician beef until I took the first bite of this steak at Alcume. Charred to juicy perfection on the barbecue, this steak was all kinds of flavorful. You can smell the barbecued deliciousness of Alcume from blocks away. By the time we finally reached our table, we couldn’t help but order a bit of everything! We had a smorgasbord of charred meats, from criollo sausage to pork ribs. But nothing could compare to the meaty joy that was the churassco de ternera. 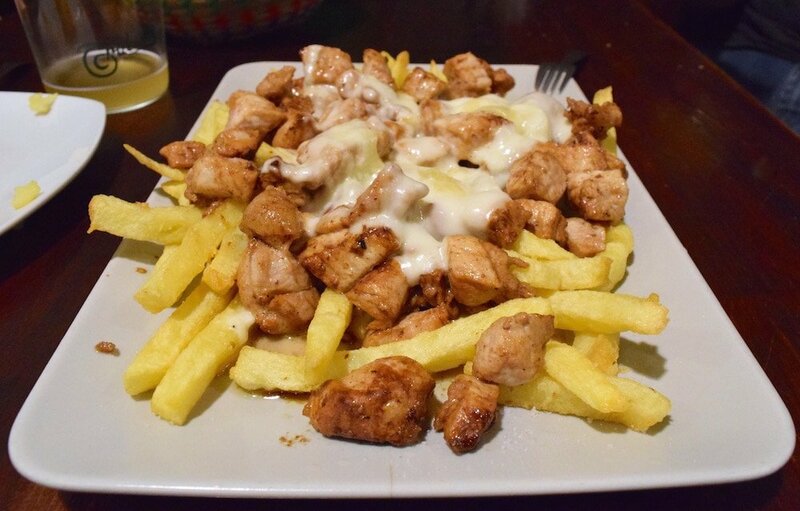 One of my favorite things about raxo is that it is one of the few meats in Spain that is combined with any type of sauce. 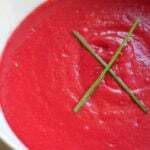 The most common raxo-topping sauces are made from roquefort cheese or mushrooms. Raxo with Tetilla cheese is the tapa my life has been missing. But at Casa Lelín they take this popular Galician marinated pork and smother it with another regional delicacy: tetilla cheese. The smooth, creamy cheese melts over the cubes of meat and into the bed of freshly cut and fried potatoes creating a rich mess flavors that I only wish was the standard tapa in every city. I have never been to a city where so many people were eating ice cream. No matter if it was 4:00 p.m. or 10:00 p.m., it was impossible to walk two blocks without passing someone with an ice cream cone. I now understand why. The vast majority of the ice cream sold in the city is made using milk from the regional cows, much of which is organic. That ultra-fresh milk is then combined with typical Galician ingredients to make some downright stellar ice creams. 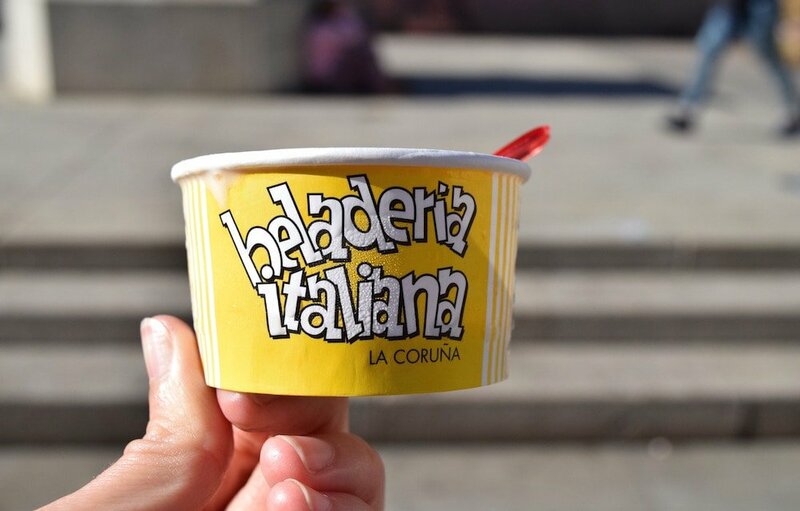 But out of the multitude of ice cream shops and flavors that I tasted, one stands far above the rest: the Queso de Cebreiro con Membrillo ice cream at Heladería Italiana. 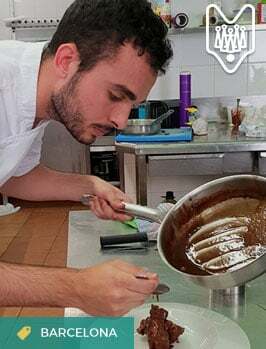 This old fashioned ice cream parlor mixes fresh, un-aged cheese from the nearby village of Cebreiro and bright burgundy chucks of quince paste into their creamy ice cream. The resulting ice cream is too good for words. My ice cream-obsessed taste buds are already demanding a return trip to La Coruña and a daily supply of this ice cream! 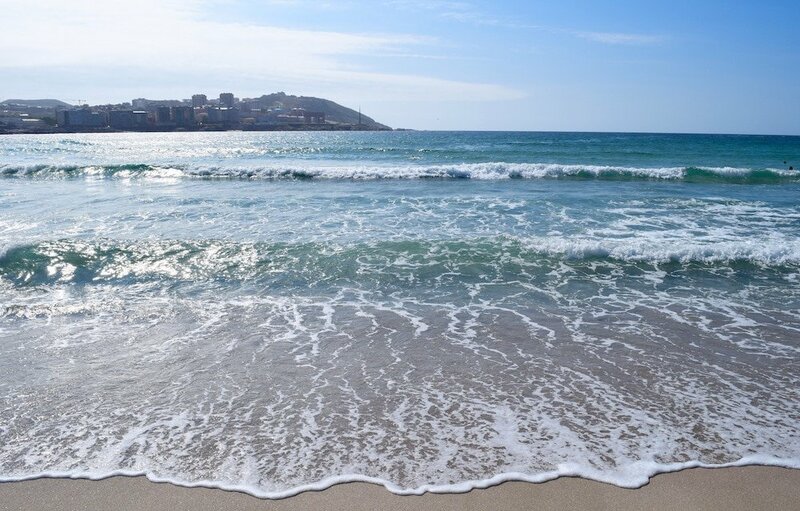 Have you been to La Coruña? What was your best bite? Going to La Coruna ,after a long absence, this Fall. Your article has helped me to choose where to eat. The trick to perfectly textured pulpo for any dish is to bake it on a bed of onions, tomato and parsley at 200 c for 90 minutes. Sounds delicious Frank! I don’t know when I’ll finally make it to La Coruña, but I’ll definitely be taking Amy’s advice as well! LOVE eating in Coru, and it’s so cheap! After finishing camp, I always took my paycheck directly to a small bar on Galera for a huge mariscada. Qué morriña! Between you and Amy I’ll have my work cut out for me eating there when I finally make it up!